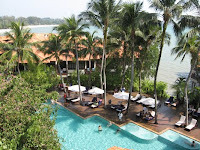 Live Band from Jason Geh Entertainment was hired to perform at the Beach Wedding of Sin Kiat and Chuen Sam at Avillion Hotel Port Dickson, Malaysia on the 27th February 2010. 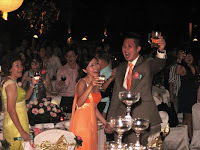 The three piece Live Band featured a professional wedding singer and saxophonist with Jason Geh on keyboards. Their performance repertoire covers jazz, love songs, golden oldies to dance numbers(cha cha, rock & roll, disco), chinese and malay selections. Do give Jason Geh a call if you’re interested to hire Live Band for your wedding or other events in KL, Penang, JB or anywhere in Malaysia. 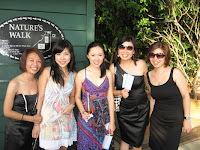 The group is based in Kuala Lumpur but occasional travels outstation to perform. 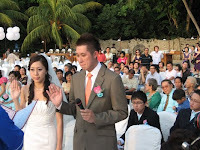 Sin Kiat, the groom discovered Jason Geh online six months ago and wanted Jason and company to provide Live Band Entertainment for his beach wedding. 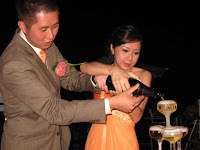 Sin Kiat spends time browsing through Jason’s website / blog and was overwhelmed by his experience and professionalism as a music performer at weddings and events in Malaysia. All of Jason’s past and recent live performances are there on his music blog with photos and video samples as references. Jason Geh’s music website also depicts his collaboration with top international and local recording artiste / celebrities that further authenticate his presence in the Malaysian music scene. 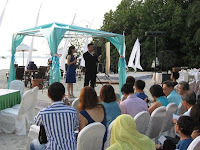 It was indeed a truly romantic wedding reception by the beach for this newly weds. 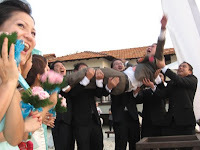 Do check out the video montage above illustrating the highlights of this wedding from the signing ceremony till the end. 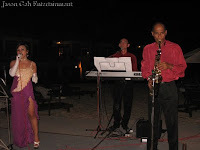 Here's a link to another beach wedding Jason's Live Band was involve in. 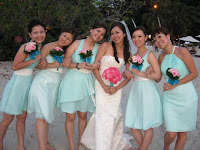 ~ Wedding of Jason Yew and Bee Teng.